Since it debuted as a production-intended concept car in 2017, no one ever mistook the Jaguar XE SV Project 8 as slow. But I don’t think anyone expected it to swallow production-car record at the pace it has. It all started last year when the concept tackled The Green Hell and took home the fastest Nurburgring lap time for a four-door at 7 minutes 21.23 seconds. 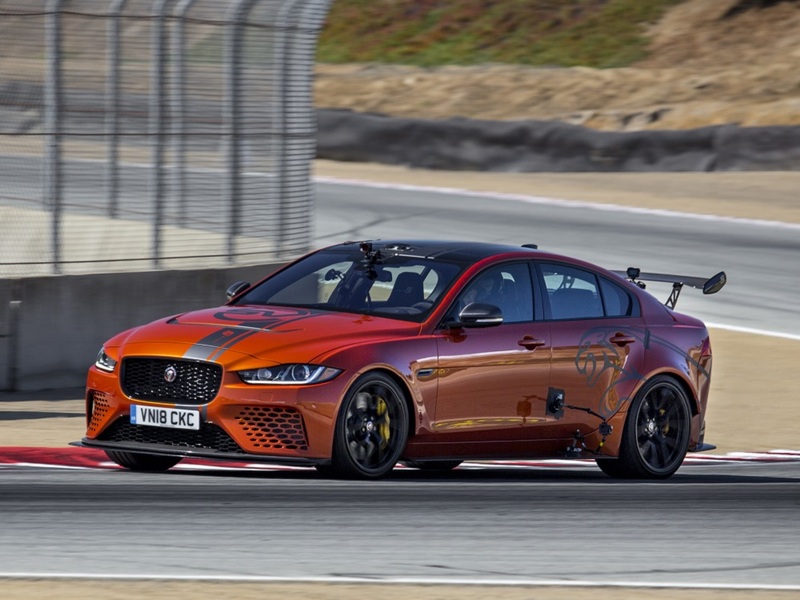 Now, Jaguar just announced the production XE SV Project 8 has shattered another lap-time record, but this time the record is for a true production model. This four-door beast killed the lap record at WeatherTech Raceway Laguna Seca as it took Randy Pobst just 1 minute 37.54 seconds to zip around this 2.238-mile track. This makes the mighty Jag a full second faster than the last record holder, the 2016 Cadillac CTS-V. Of course, with a specially tuned suspension and a 5.0-liter supercharged engine that injects 592 horsepower and 516 pound-feet of torque, is it really a surprise this British beast stomped the Caddy? Though it will technically be a production model, Jaguar will build only 300 examples of the XE SV Project 8. Each one will cost an eye-watering $187,500.